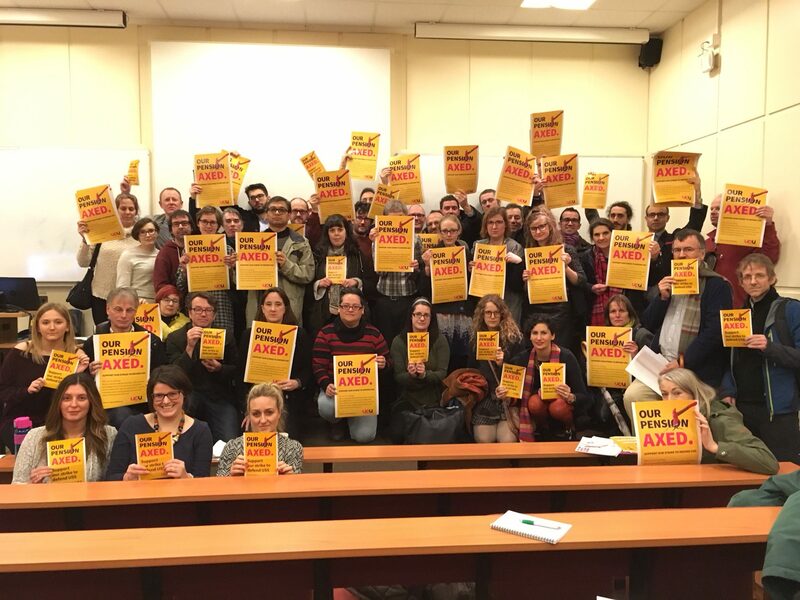 Keele UCU welcomes the VC’s statement acknowledging the urgent need to re-engage with negotiations on proposed changes to the pension scheme (University Superannuation Scheme; USS). These proposed changes will substantially alter the nature of academic employment and, as a result, fundamentally undermine standards in UK higher education. However, it is important to be clear that Universities UK (management) and USS did not ‘find’ the deficit. Rather, they created it by changing the basis on which investments have been made. With the recent confirmation that Oxbridge colleges accounted for one-third of the 42% of UUK employers who wanted lower risk, we now have grave concerns about fiscal (mis)management of the pension scheme. Together, these issues call into question the competency of UUK and USS to lead strategically both during and after this dispute. We call, therefore, for an immediate engagement with ACAS. We believe that the Vice Chancellor can encourage those of his peers who have not already done so to challenge the official UUK position and to engage with ACAS at the earliest opportunity.